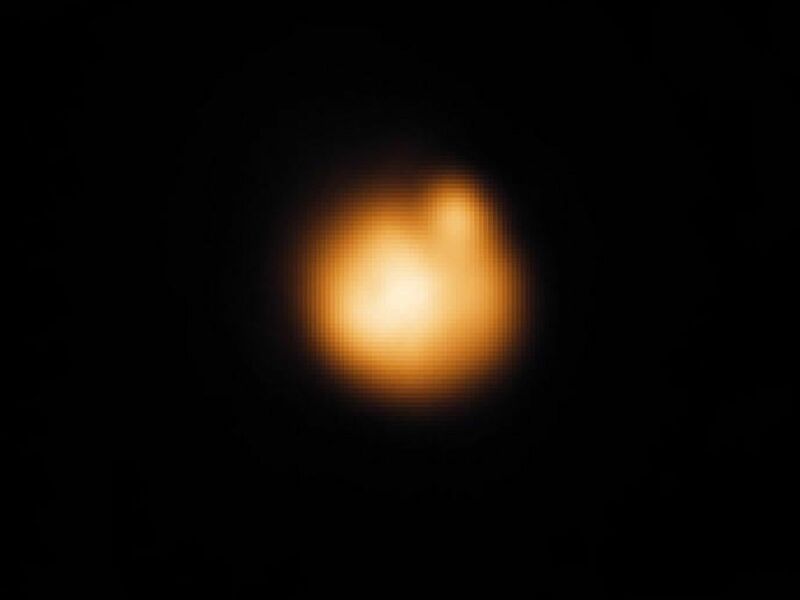 This false-color infrared image of the Sunlit disk of Jupiter's moon Io was taken at the NASA Infrared Telescope Facility at Mauna Kea, Hawaii, a few hours after a November 25, 1999 close Io flyby by NASA's Galileo spacecraft. The bright spot at the 1 o'clock position is the same lava fountain seen close-up by Galileo's camera, but in this case it is seen from Earth at a distance of 630 million kilometers (390 million miles). 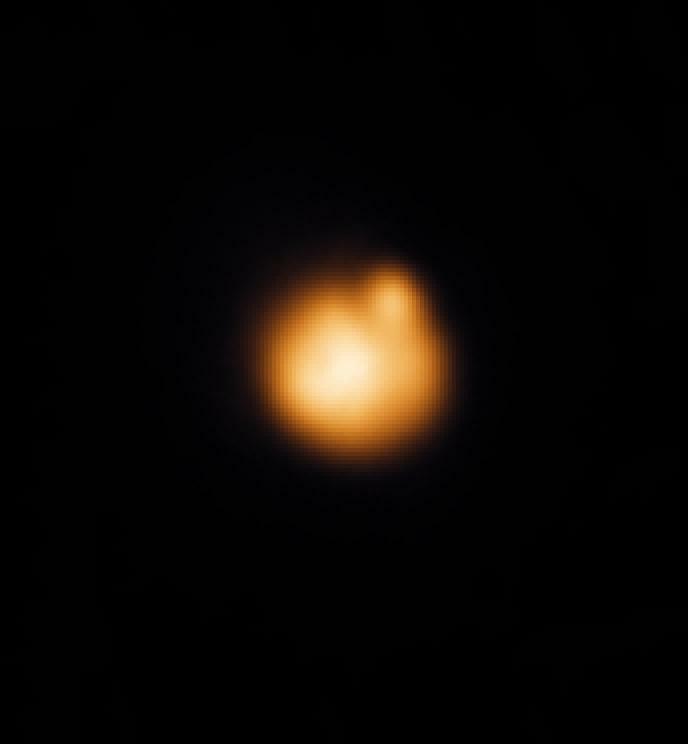 When this image was taken, the fiery lava fountain was almost on the edge of Io's disk and about to disappear from view due to Io's rotation. The lava fountain was seen from an angle just 5.5 degrees above horizontal. Its prominence when seen so obliquely confirms that this eruption is indeed composed of fiery fountains rising up above the surface; horizontal lava flows would be much harder to see from so close to the horizontal. 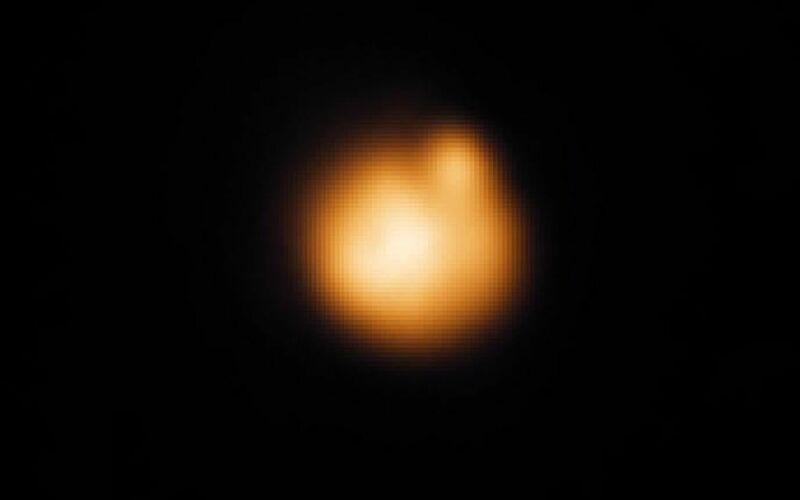 Astronomers making Earth-based telescopic observations see a bright spot like this one somewhere on Io only about 20 percent of the time, so the Galileo team was fortunate to catch one in its narrow field of view. Astronomer John Spencer, who has watched this type of eruption for many years on Io from Mauna Kea, said, "We thought that some of these eruptions might be due to lava fountains, but it's incredible to see that idea confirmed so spectacularly by Galileo."